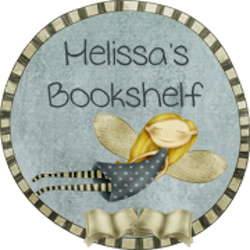 I've been having a good run of luck with Christian Fiction lately, which makes me glad that I didn't give up on the genre entirely as I had been thinking of doing. Gist's debut novel is entertaining and fast-paced, in short, I couldn't put it down.Being a debut novel, it is certainly not without flaws, but they did not detract from the story too much. While generally a well-written book, there were times when the language felt forced--as if Gist realized she needed to make sure the characters were speaking correctly for the time, so she threw in some key phrases and words for good measure. Sometimes the dialogues felt a bit awkward but with time, I think that is a skill that Gist can perfect.The story itself may not be original, but the likable characters and great pacing make for an enjoyable read. As with most (Christian) romances, we have a great deal of miscommunication and lack of communication between the story's focal couple, Drew and Constance, but for once I didn't find it to be so frustrating, and it actually kept me turning the pages. And while this may be a work of Christian fiction, it is thankfully not one that outright preaches to the reader, and that is certainly the way I prefer it. In fact, there is nothing in the storyline that involves a character on a mission to convert someone to Christianity, which is also refreshing. 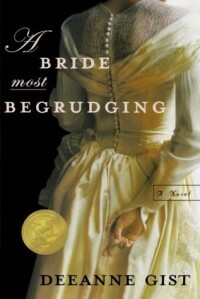 Though a Christian, myself, I have never been particularly fond of the preachy fiction that focuses on converting and saving people.Overall I thought that A Bride Most Begrudging was a strong debut work for Gist, and I look forward to reading her other novels, as well.